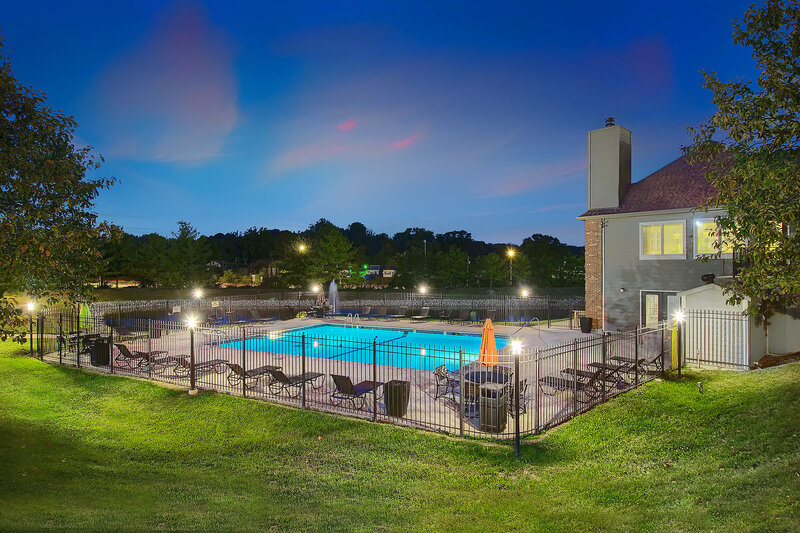 Polo Downs Apartments is a beautiful community located in Fenton, Missouri. Offering five dynamic one and two bedroom floor plans, our apartment features include premium plank flooring, custom wall color, designer plumbing and lightnig packages, vertical and faux-wood blinds, white 6-panel doors, ceiling fans in master bedrooms, full-sized washer and dryer connections, oversized walk-in closets, and outside storage. Select apartment homes also include fireplaces, vaulted ceilings, track-lighting, and sunburst windows. If you love an active lifestyle, you'll appreciate our sparkling swimming pool with sundeck, lighted multi-sport court, and fitness center. Our courteous and professional on-site staff will make sure that you have everything you could possibly need and more. In addition, we are conveniently located in the heart of Gravois Bluffs, where all of your shopping, banking, dining, and entertainment needs can be met within minutes. With close access to all major highways, you can quickly get anywhere you need to be. We are also conveniently located within both Northwest and AAA-rated Lindbergh School Districts. Polo Downs is here to exceed your highest expectations! Call and book an appointment with one of our leasing agents today, and come home to Polo Downs Apartments! Situated just minutes from the area’s best shopping and dining, living at Polo Downs Apartments means you’ll never be far from the action. Shopping has never been easier with Target, WalMart, T.J. Maxx, and JCPenney all in the immediate area. If you feel like eating out after a long day at the office, you can find anything from American to Italian to Mexican and Greek cuisine. Most importantly, our community features close proximity to Interstate 44 and Interstate 270 for all of your commuting needs! Downtown St. Louis is a mere 30 minutes away from our community, offering all the amenities and conveniences of city life. And of course, it doesn’t take much effort to journey to one of the many local parks for some weekend fun. When it comes to location, it doesn’t get much better than Polo Downs Apartments!